Aaah! 2016 is almost over. Did you keep your new year’s resolutions? Did you adhere to “New Year, New You”? Now not to brag… but I did. I had one simple resolution: Say Yes. Just say yes. But then I realized that while my life was being stagnant, people were having wild adventures. I mean, it was obvious from their posts on Facebook, and those are always true to life, right? 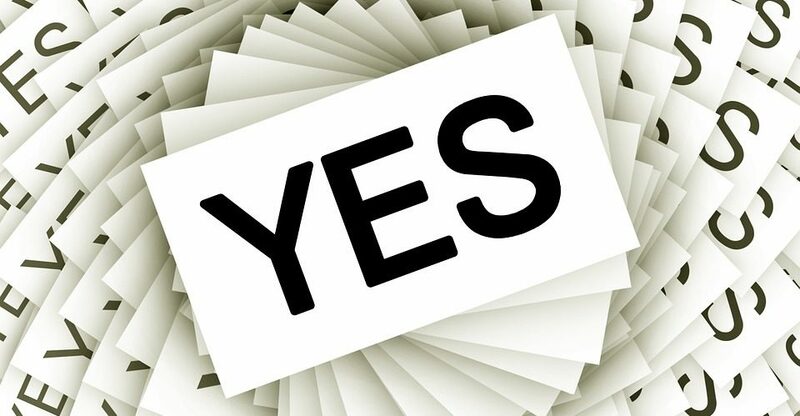 So I embarked on a journey of saying “Yes!” to every opportunity I could. 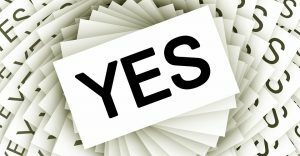 I tried to say yes to party invitations, yes to offers to try out a new activity, yes to a certain someone here pushing me to run to be a Toastmasters officer…just Yes, yes, yes! And I’ve had resounding success and my life changed. Now, I’m not here today to tell you which websites to visit or the more technical details on how to find activities, since judging from the way you managed to find this location at Apple, you probably don’t need help in that area. You will learn new things. For example, I learned to speak in front of you guys without running away. And to be slightly less socially awkward. You may learn a new musical instrument. You may learn a new language. You may learn how to knit. And of course you will also learn things about yourself. You may learn you enjoy being in small groups. You may learn you like the outdoors and fresh air. You may learn you are deathly allergic to a plant that grows on a trail you are hiking on. It’s never too late to learn new things. You will meet new people. I feel like my social circle has grown so much since I took the time to introduce myself to people. I would make a friend. Then that friend would introduce me to a new friend and that new friend would introduce me to a new friend and I’d end up being a friend of that friend’s friend. Your new hiking buddy could be your new best friend! He or she could even be your future husband or wife! The opposite is exciting too—you could make an arch nemesis! Trust me, your life is not exciting until you have an arch nemesis. Your new video game group member could be the person that you end up competing with and hating ’til the day you die. Either way—you’re meeting new people! Now, there will of course be experiences where you will say, “Ahh, I don’t like this. This isn’t for me.” But that’s OK. Part of trying new things is figuring out what you like and don’t like. And sure, you may think, “I have enough people in my life…why would I need to meet new people?” Well, you will always need people in your life. You never know when you might lose some friends—especially if they’re doing things like climbing Mt. Kilamanjaro. And sure, some of you might say, “I don’t have time! I’ve already got three kids, a mortgage and Pokemon Go on my phone!” Well find time. Rearrange your schedule and plans and find time. Because in just a few months, it will be 2017, and you will have a new set of resolutions to worry about.